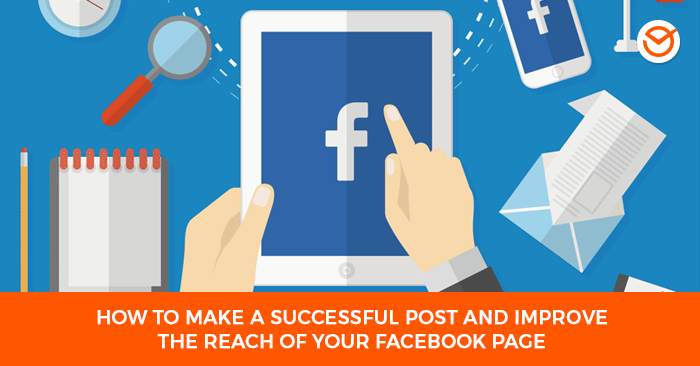 How to make a successful post and improve the reach of your Facebook page! “Like” has ceased to be the big concern in everybody’s mind, the new headache is to ensure the page and its content is seen among the 1500 potential stories a user can be exposed to every day. 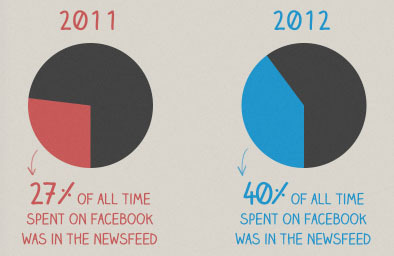 So, if you are not in your audience’s newsfeed, why bother with likes, engagement, shares, etc, etc, etc. 96% of fans don’t go back to a brand’s page after the initial engagement (if there ever was one). 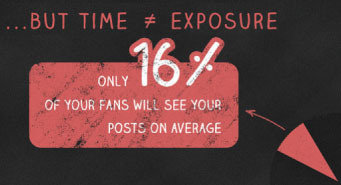 Only an average of 16% of your fans will see your posts. This should be based on your audience’s immediate reality and the behavior of your fans. Anyway, there are basic guidelines of what works and what doesn’t work on Facebook which you would do good to experiment and adapt in order to develop your very own “algorithm”. 0- Components of Facebook’s algorithm (edgerank). Before pointing out WHAT works you have to know HOW Facebook’s algorithm works. We’ll briefly review the basis that make up edge rank so you’ll understand the reasons behind each of our suggested actions. What’s edge rank? 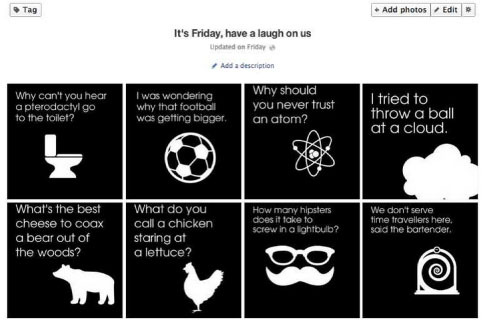 : it’s the algorithm used by Facebook to determine where and what posts will appear in each user’s newsfeed. This variable is based on the type of relationship the user has with a brand (not the other way around), it measures its intensity. If a user engages with a lot of content from a particular brand then the algorithm will prioritize the stories of that brand rather than those of a page with which the user has never or rarely engaged with (likes, comments, clicks, shares). Facebook has added a change called “Last Actor”, which tracks down the last 50 interactions and prioritizes content from that list. It’s the assessment system that allows to increase or decrease the value of certain actions within Facebook. 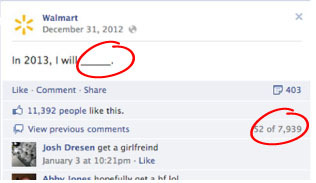 Comments imply certain degree of involvement with the post, which is why a comment bears more value than a “like”. There are also different kinds of posts that add “weight” by themselves, although later on according to the quality of the user’s engagement with that story its value can change. So: the more “weight” the post has, the higher the score and the higher it will appear on the ranking which translates to better chances of being shown in the newsfeed. but have been shown in the user’s newsfeed, only the user hasn’t scrolled down enough to see the whole list. So…What criteria does Facebook use when ranking? Amount of likes, shares, comments a post gets in general and specially from friends of fans. If my friends constantly interact with a specific page it’s likely it will appear among my suggestions. How much has a user interacted with a type of post in particular : does he/she hit “like”, does he share or leave comments in pictures, videos, links, texts, news? Accoring to this, certain types of posts will be shown more than others. A page can have less chances of being shown to new users if its posts have been hidden, or reported as inappropriate by its general audience. 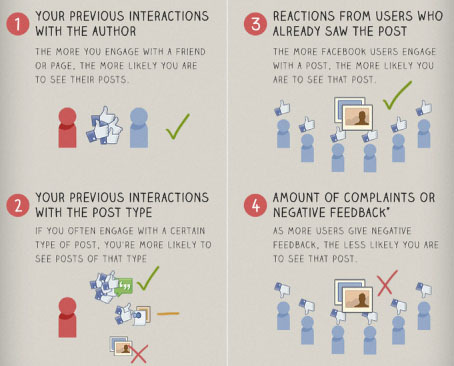 What can you do to increase the likelihood of appearing in Facebook’s newsfeed? Photo albums get 180% more involvement. They bring about more clicks since generally people want to see the whole album. Photos and videos get from 100% to 120% more involvement. 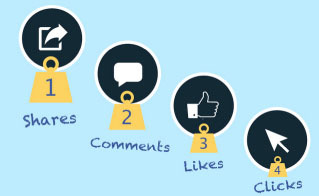 Posts of 100 to 250 characters get an average of 60% more involvement: “like”, comments and the times it is shared. Making simple questions or asking fans to complete a phase brings about 90% more involvement. 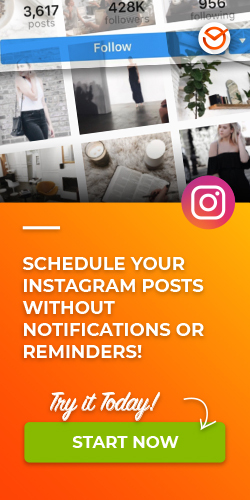 As we pointed out in a previous post it’s logical to post things about your products or brand but it’s also necessary to “pamper” your customers with useful eye-catching information that provides something valuable to their daily life. 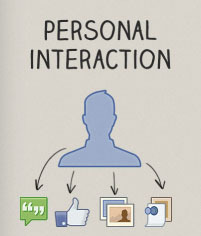 Whatever you say or share should also bring about identification, fans should feel “at home” when in your page. All of this makes up relevance. Meaning people trust a link that says where they’ll be redirected to more than one that has been shortened and thus lost that information. This means this type of link also decreases the chances of having more traffic on your blog or website. In any case, I recommend you to draw your own conclusions. We interviewed the administrator of a Chilean page that’s very successful (3M likes) and he has personally checked this information. In another one of his pages he has used tools to shorten URLs and he notices a drop in those posts’ reach and consequently on the page. Again, this is a case of “Believe it or not”. It’s worth mentioning José (the administrator ) has followed each of the steps previously listed and has managed to develop his own formula which works like a charm. From Postcron we closely follow his growth and we celebrate it since the success of a user of our app is also our success. 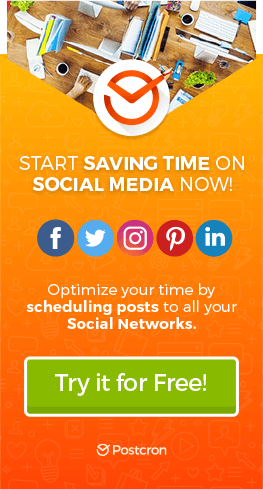 In our previous article we reviewed the best times suggested to post, it has been in those periods of time when most involvement has been registered. Once again we quote BuddyMedia that confirms intuition and common sense produce results when deciding at what time to post. Anyway, you should carry out your own experiment, analyze Facebook’s insights and, based on that, carry on with the trend your fans suggest. 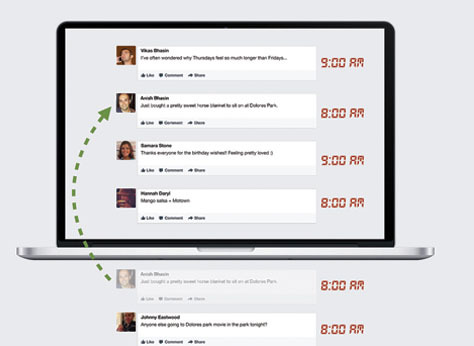 Those brands that publish posts within the “business hour” get 20% more involvement. What does that mean? Focus on your fans, they hold the formula, and if you are always looking back to see what happens to the algorithm you’ll lose sight of what’s happening before you. (Very cheesy but true). The current elements in Facebook’s algorithm are: Affinity, Weight and Time Decay. The criteria to rank a post and a page depends on: a) the relationship of the user to the page and its posts. b) the relationship of the community in general to the page and its posts. What kind of posts are more likely to be best ranked and appear in the newsfeed? Those that are visually attractive, concise and that invite fans to participate; those that are relevant, that don’t include a shortened link and that are published at the times their fans are connected. 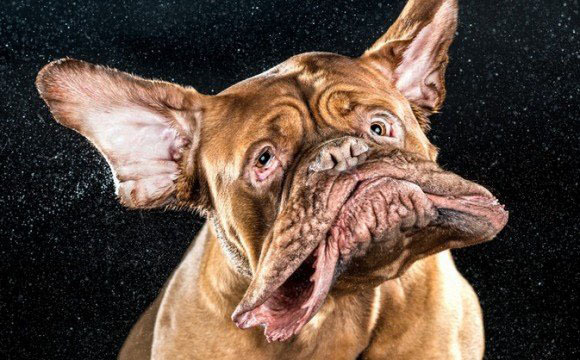 Do we need to drive ourselves crazy? No. We need to experiment and observe the response of our fans. Create, publish and promote different types of posts and then let your fans show you their algorithm.